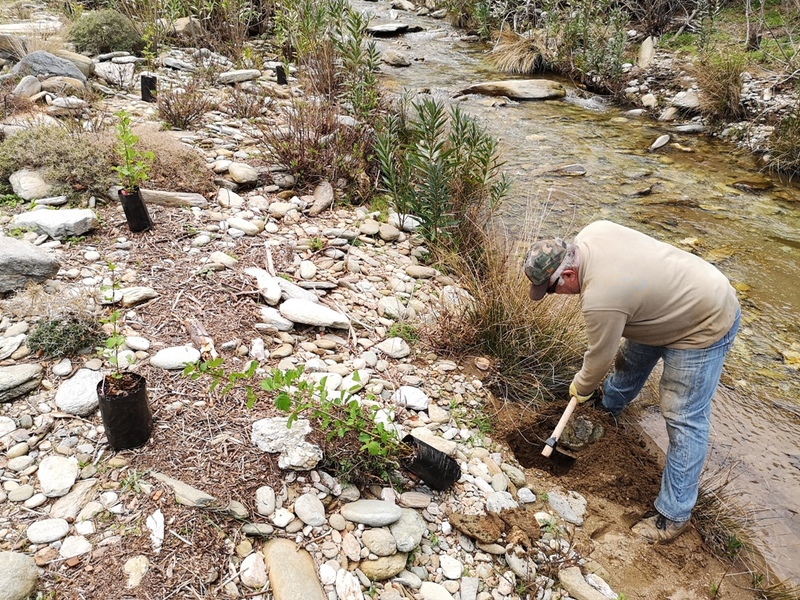 The plantings for the restoration of the alder forests in the areas of Vori and Lefka have began, the first phase was completed and about 3,000 seedlings have been planted. In recent years, the riparian alder forests of Andros have undergone a significant degradation and parts of them have been destroyed. 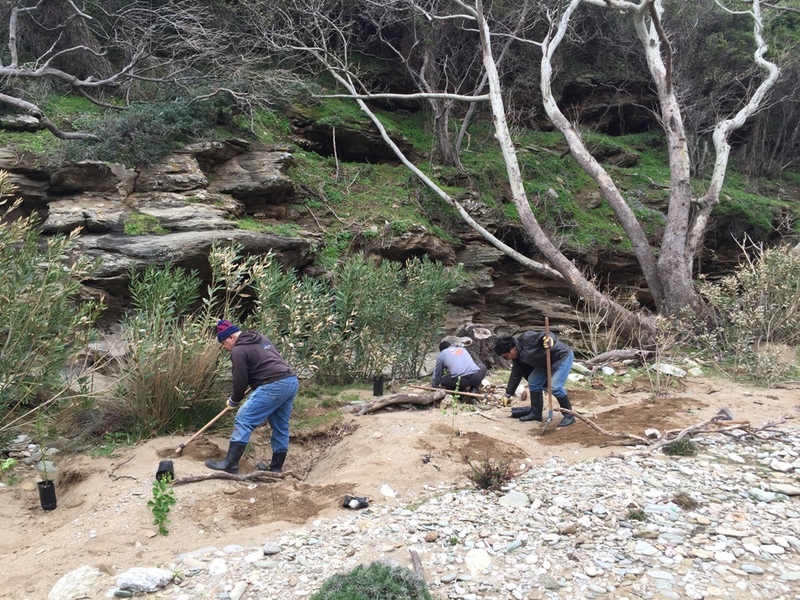 Aiming at their restoration, in the framework of the project, collection of seeds from the island’s trees took place, followed by sowing and seedlings development at the premises of the Agricultural University of Athens last year (2017-18) and seedlings relocation to a nursery at the Agadaki Estate of the Kaireios Library (2018- 19), followed by their transplantation to selected locations in Vori and Lefka. Prior to the transplantation (2018), site visits were carried out, as well as a meeting with residents of the area at Vori, and the planting sites were determined. 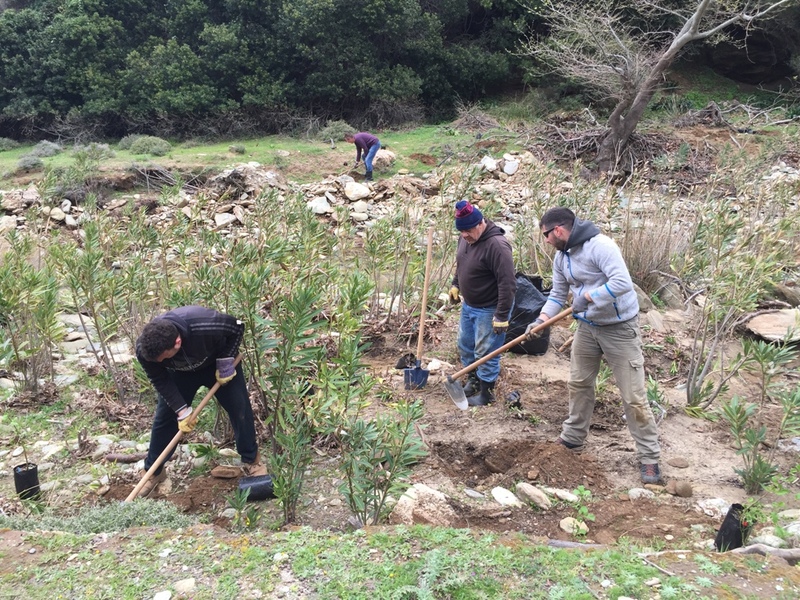 Last week, the first planting phase was completed and a total of 3,000 seedlings in the sites of Vori and Lefka were planted by the project team (Agricultural University of Athens and Municipality of Andros). 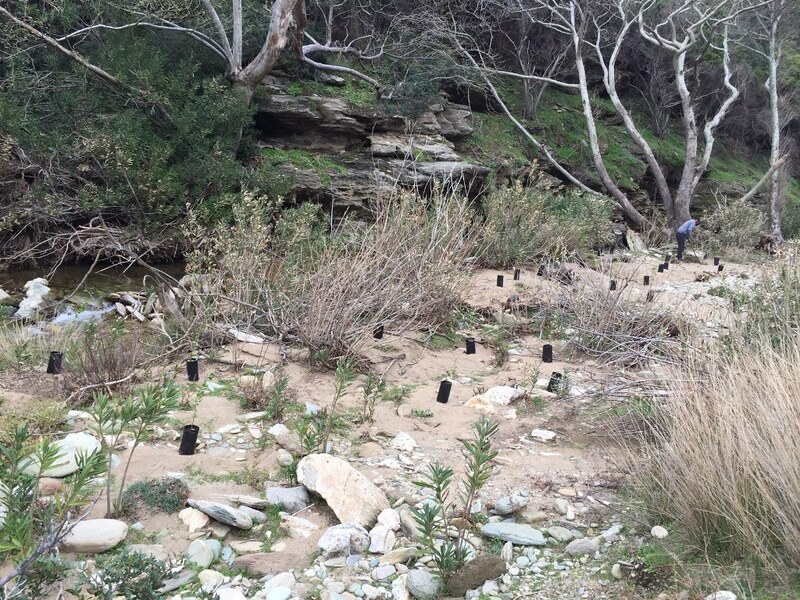 At the same time, in order to protect the seedlings from grazing, the clusters were fenced and marked. 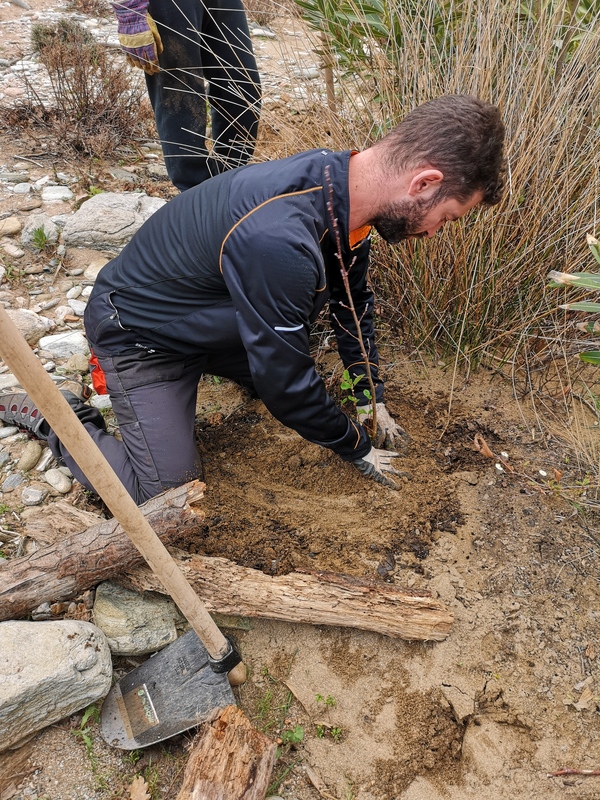 In the coming period (2019-20), planting will continue and the target is to plant 8,000 seedlings in the aforementioned areas, while regular visits will be carried out in order to take care of the trees and ensure their survival at this crucial early stage.